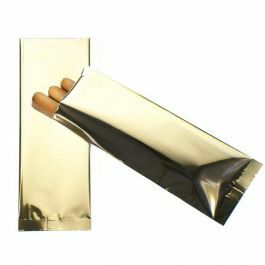 This SVP28G heat sealable bag comes in gold and measures 2" x 8". 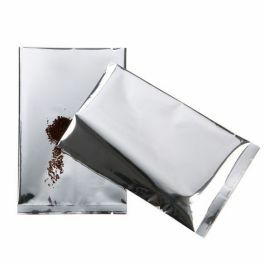 It is ideal for powdered mixes, ground coffee, granola bars, fruit roll-ups, and more. 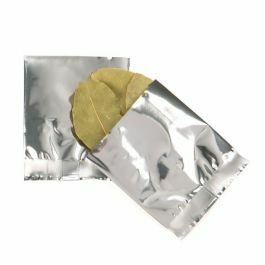 The high barrier protection of this metallized pouch shields against UV light, moisture, oxygen making it great for packaging food items. 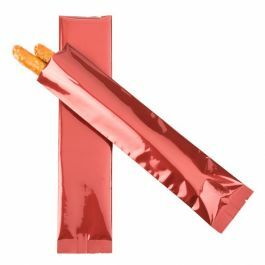 This shimmer gold bag comes open at the top for easy fulfillment and can be heat sealed. 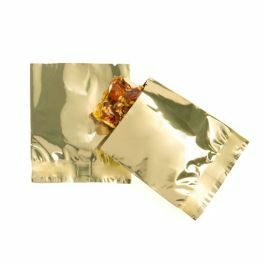 Measuring 2 x 8 inches in size, this metallized flat pouch is ideal for packaging food items like single-serve protein powders, granola bars, trail mixes and more. 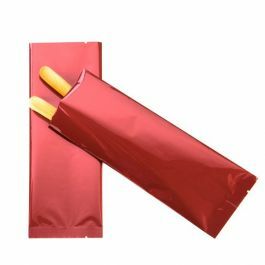 SVP28G comes open at the top (width dimension) for easy fulfillment, features a 1/2" bottom seal for extra durability and tear notches at both ends for convenience once heat sealed. 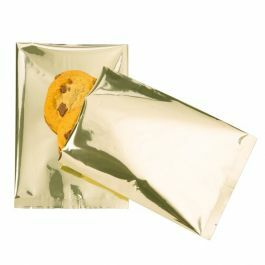 This shimmer gold package offers our highest barrier protection from UV lighting, moisture and oxygen. 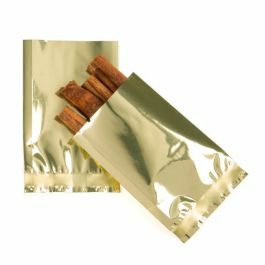 Place a pre-printed label, nutrition information and more onto this package for the retail environment or have it custom printed. 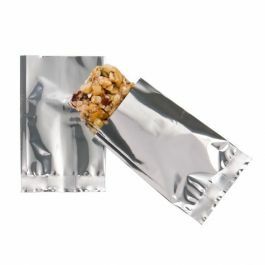 Multiple heat sealers options are available. 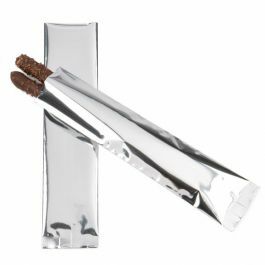 Outer Dimensions: 2" x 8"
Our SVP28G is ideal for packaging single-use items like powdered mixes and snack foods.